Your company’s success in meeting its business goals depends on a variety of factors, one of which is how well you train your employees through learning and development programs designed to solidify and enhance the skills and knowledge they need for peak performance. How do you know if your learning efforts are working? The answer is simple: evaluations. But there’s more to how evaluations impact training than just verifying learning. You’ve no doubt heard the phrase, “the customer comes first.” But entrepreneurial guru Richard Branson has pointed out that business success is more likely when companies put their employees first. It’s a novel but vital idea – when companies put their employees first, those employees will make sure to take care of your customers. One piece of the putting-employees-first puzzle includes evaluations of not only their performance but also their learning and training. When your learning efforts have clear, SMART (specific, measurable, achievable, realistic and timely) objectives directly tied to business goals, everyone will be on the same page, working towards the same goals, and that means everyone wins. The better your learning content and evaluations, the more motivated your employees will be to gain the skills and knowledge they need because they can see what they’re working towards, and the evaluations give them vital feedback on how they’re doing as they work towards the learning goals. Creating this “virtuous cycle” of training and evaluations is the key to achieving a strong, consistent workforce for your company. And by showing your willingness to invest in your employees, you’ll also be more likely to gain their loyalty and retain them for years to come. 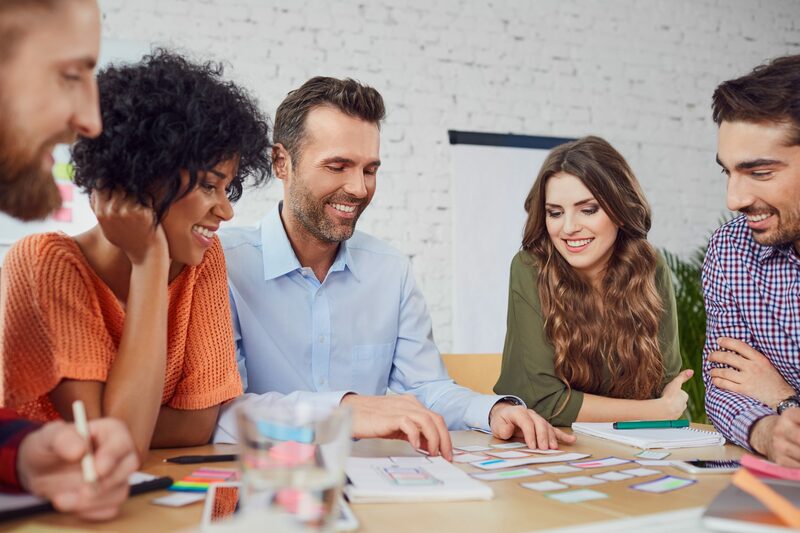 While evaluating how well your employees are doing at acquiring the skills and knowledge they need to succeed is important, another aspect of how evaluations impact training is learner feedback about the content. Don’t miss out on your chance to find out how you can improve the content and the learning process for your employees! Build in plenty of feedback opportunities throughout each learning course or training module to find out which topics are particularly difficult for learners, what needs more or less emphasis, and how the content can be made more effective in future iterations. When participants see that you’re interested in and value their opinions about the learning and training programs of your company, it will have the added benefit of deepening their engagement with the material. Tracking the results of your learning and training programs, as well as analyzing the data you collect through evaluations, is all made much easier when you have the right learning management system (LMS). If it’s time for your company to adopt a robust but easy-to-use LMS to make sure your evaluations impact training in all the right ways, take a closer look at eLeaP. It has everything you need to make the most of learning and training, including a library of 850+ training courses ready to meet a wide variety of business needs. To find out if eLeaP is the right solution for your company, sign up for a free 30-day trial, after which you will enjoy affordable monthly subscription pricing. You can contact us anytime with questions!